Blade length :　41.6　cm or 16.37 inches. Sori : 0.4 cm or 0.15 inches. Width at the hamachi : 3.39 cm or 1.33 inches. 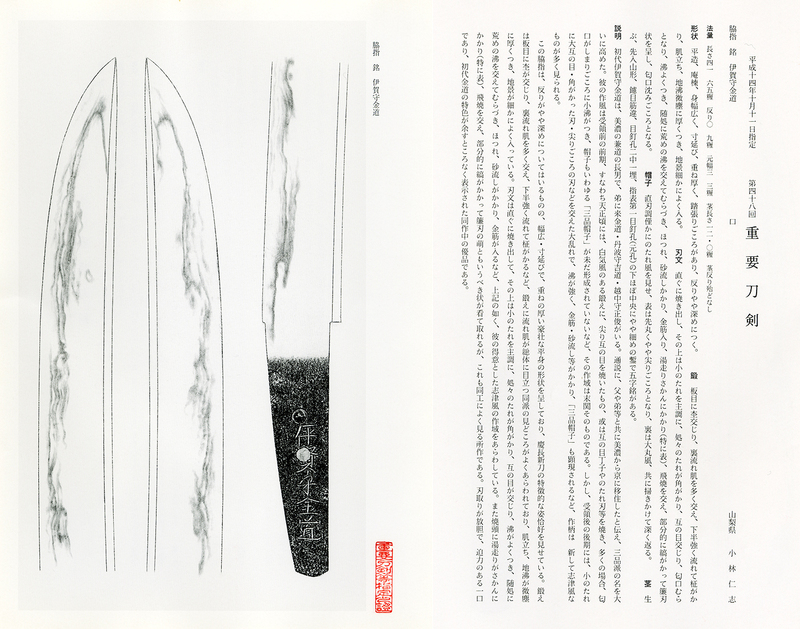 Shape : Wide and thick Hirauchi Wakizashi. Jigane : Itame Hada well grained with Jinie attach. There are Chikei. Boshi is his characteristic Notare and Sansaku-fu Hakikake shape. In Ha, there are Aranie, Sunagashi, Kinsuji and Yubashiri. This blade is vigorous and his masterpiece. 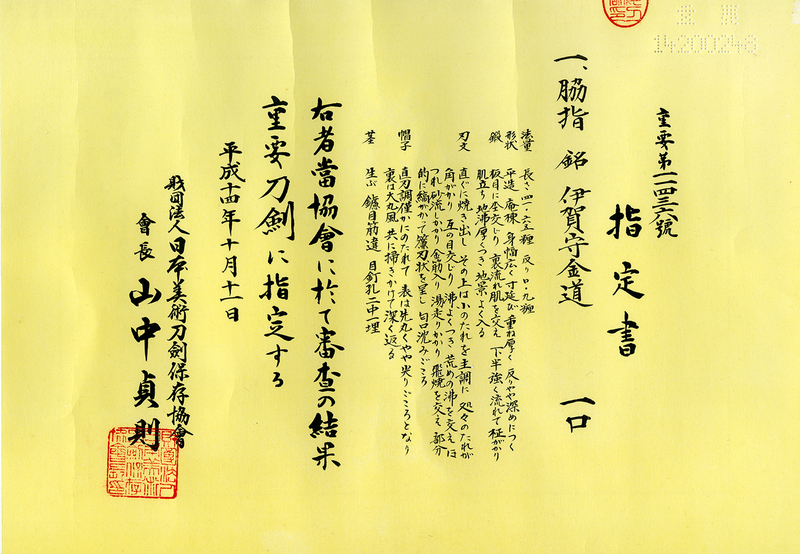 Tanba kami Yoshimichi and Ecchu kami Masatoshi moved from Mino to Kyoto. They made a lot of swords in there. 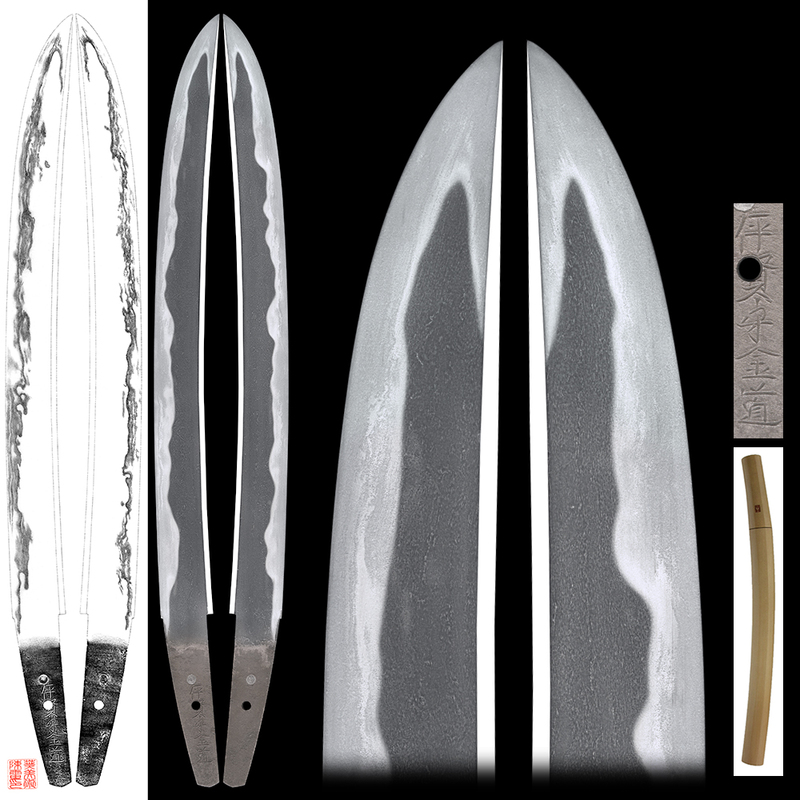 This Wakizashi is wide, thick and rather large Sori. There are Sunagashi, Kinsuji and equal Yubashiri. The Hamon is powerful. It is typical Kinmich first generation. This is masterpiece of his blades.